New century hostel is located at No 12 Hang Manh- The heart of Hanoi Old quarter. It's an ideally place for your vacation. You could enjoy fresh air from the Hoan Kiem lake just 100 meters far. It is convenient to walk to the shopping areas like Dong Xuan market, Night market, the best local restaurants as well as the banks near by. You are embraced by the spacious and well- furnished rooms of Hanoi New Century Hostel which is considered a three star one. All rooms in the hostel have wooden floors and brand new equipment. The hostel makes you really comfortable with IDD telephone, air conditioner,cable TV, Computer in room and in the lobby with ADSL & WIFI access, refrigerator, modern bath-tub in all rooms, hair-dryer. Soft-drinks, fresh fruit are prepared everyday. Our hospitable, enthusiastic and polite staffs are always pleased to meet your demand. Breakfast is prepared carefully for you to welcome a new wonderful day. Come and stay with us, you will discover more than what mentioned above! 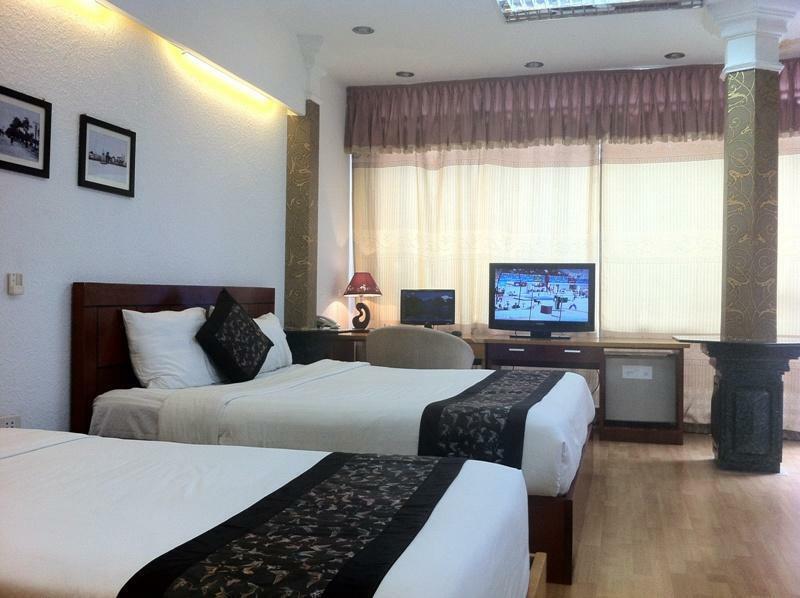 New Century Hotel is centrally located in Hanoi's Old Quarter, a 3-minute walk from Hoan Kiem Lake and Dong Xuan Market. New Century Hotel is a 10-minute walk from the Opera House and Thang Long Water Puppet Theatre. It is a 15-minute drive from the Temple of Literature and Ho Chi Minh Mausoleum.